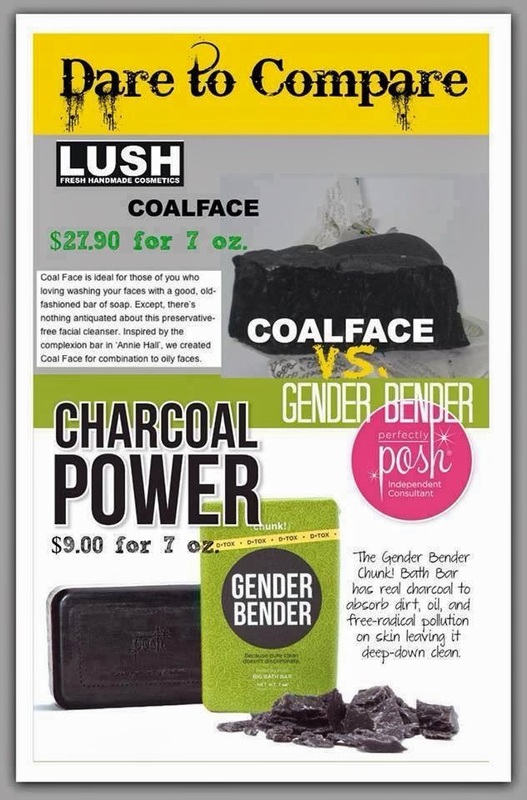 One of my absolute favorite products from Perfectly Posh is called the Gender Bender. It's called the Gender Bender because "pure clean doesn't discriminate." It is part of our detoxing line of products and it is basically a charcoal bar soap that gives a great deep clean by removing the pollution and toxins in your skin. Yes this soap does wash clear even though it's a black bar of soap which means it's also guy friendly. It has a great clean scent which I find really addicting. I'm absolutely addicted to this soap and can't wait to shower so I can use it. Even my husband admits that he loves this soap. Read on to learn more about the Gender Bender. My review: Some people are huge soap people and they love handcrafted soaps. I was not a huge soap person until I started using the Gender Bender. I knew a lot of other people who were absolutely in love with the Gender Bender and I didn't really understand how cool soap could possibly be until I got my hands on this. Seriously, this soap changed my views on soap forever. Since I started using this, it has made me actually look forward to showering so I could use this soap. I don't usually look forward to showering because it takes time out of my day to do so which is saying something. The Gender Bender really is that good. The detoxing aspect of this soap is what interested me at first and it hasn't disappointed me. The charcoal in this soap has helped clear up my back acne (yuck. i know.) and I love cutting a chunk of it to leave by my sink so I can wash my face at night too. I like to use the Stripper Detox Body Mud on my face weekly and this on a more daily basis to help prevent and clear up any breakouts. My husband swears that his skin feels tingly afterward too. I don't know if this is psychological or what, but we've both loved this soap. This is the soap I recommend to everyone. It's my favorite and I just have to tell everyone about it when they ask. This is also makes a great stocking stuffer for anyone who needs some charCOAL in their stocking. If you're a soap person, I highly recommend you try this one out. Edit (4/24/17): Finally added the following video review! 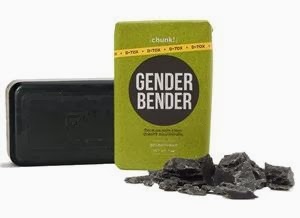 The Gender Bender is still one of my absolute favorite Posh products. I love using it for detoxing in the shower, preventing acne breakouts on body and face, and for cleaning makeup brushes! The detoxing ingredient in the Gender Bender is called activated charcoal. One cubic inch of activated charcoal has the surface area equivalent to a 150,000 sq. ft field which means it can absorb way more than you think. In short, it removes the pollution and toxins in your skin which helps detox and give a deep clean. Depending on your skin, this can lead to amazing improvements in your skin. It helps combat acne and breakouts because it helps clean out so much of the toxins that lead to skin issues. The Gender Bender is only $9 for 7 oz. If you're like me and need a better idea of how good of a deal that is, here's a good comparison with a similar product: Lush's Coalface. With Lush, you can get 3.5 oz. for $13.95 or 7 oz. for $27.90. Another good comparison is with your average Dove bar soap. Dove's bar soap is 4 oz while the Gender Bender is 7 oz which is almost twice as much. This bar soap is great for daily detox. Use it in your shower or use it to wash your face. To get the biggest bang from this soap, consider cutting it into chunks for different bathrooms or for the shower and sink. It'll last longer if it stays out of the stream of the water, so cutting it into smaller chunks is a great way to make sure this soap lasts. Since it's such a large bar, smaller chunks makes it easier to handle too. To cut, just heat it in the microwave at 5-10 second intervals until it's warm. Then cut with a sharp knife. Keep an eye on it in the microwave to make sure it doesn't overheat. Sodium Palmate, Sodium Palm Kernelate, Water, Glycerin, Fragrance, Palmitic Acid, Butyrospermum Parkii (Shea Butter), Silt, Sodium Chloride, Charcoal Powder, Carbon, Tetrasodium EDTA, Tetrasodium Etidronate. Have you tried the Gender Bender? Let me know what you think in the comments! 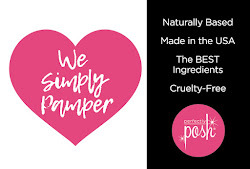 If you have any questions about this or any of our products, feel free to comment here or contact me at poshbysimone@gmail.com. Received a bar for Christmas. Absolutely love it. I don't have the best skin in the world but it sure started looking and feeling better after I started to use it. I'm so glad to hear that you've been loving it! It is still my very favorite Posh product. Love! I also like the fact that it's a neutral smell for both women and men! 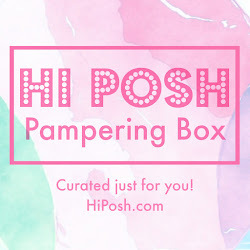 I felt amazing after I used w my exfoliating cloth w it little coconut oil after and awesome! It dries out my skin a lot, but it leaves it feeling super clean and free of toxins. It has also cleared up most of my ance. I'm content with this product. i am in reality happy to see this region and all the functions connected with this house. i am additionally stunned after reading about its loose region available for parking and charge as nicely. i'm grateful for Lori to allow us to recognise about this suitable assets. 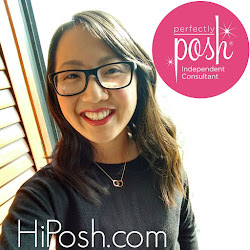 Posh Boom: First 1,000,000 Month!